At this age, children are Imagineers. They are filled with energy, independence, and curiosity about the world. Their language skills have increased and their vocabulary continues to grow dramatically. They are undergoing rapid development in many areas, and eager for attention to help them learn and understand basic things about the world around them. Our program emphasizes on language development to help children strengthen their vocabularies and develop character. They will have group activities that will complement your child's developmental growth, by practicing social skills, such as cooperation, sharing, and taking turns. Our classrooms focus on dramatic play, creative arts, language development, and sensory exploration. Daily activities include, pretend play, learning games, and hands-on activities in both large and small group settings. Our teachers will work to foster your child's independence, self-esteem, and sense of accomplishment. We give them the tools and guidance to explore and learn within a comfortable, secure environment. Daily reports will keep you updated on your child's progress. 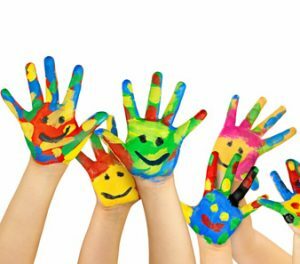 Our Creative Curriculum, aims to promote a student’s social, emotional and intellectual development. Our Frog Street Curriculum, a child centered program that emphasizes all areas of development. Our Emergent Curriculum, a program that focuses on the individual learning needs of each child.